This time of year is a good time to do a check in with parents to make sure they are aware of where their children are performing. With standardized testing in full swing and the end of the school year just around the corner, nothing can be trickier to navigate as a teacher than having a parent suddenly irate over student performance that they weren’t expecting. Sending home grade and performance reports are a good way to keep parents in the loop and cover all your bases as a teacher. Whether it is a ClassMax progress report, behavior report, or other, sending home information to parents is a great way to make parent contact. 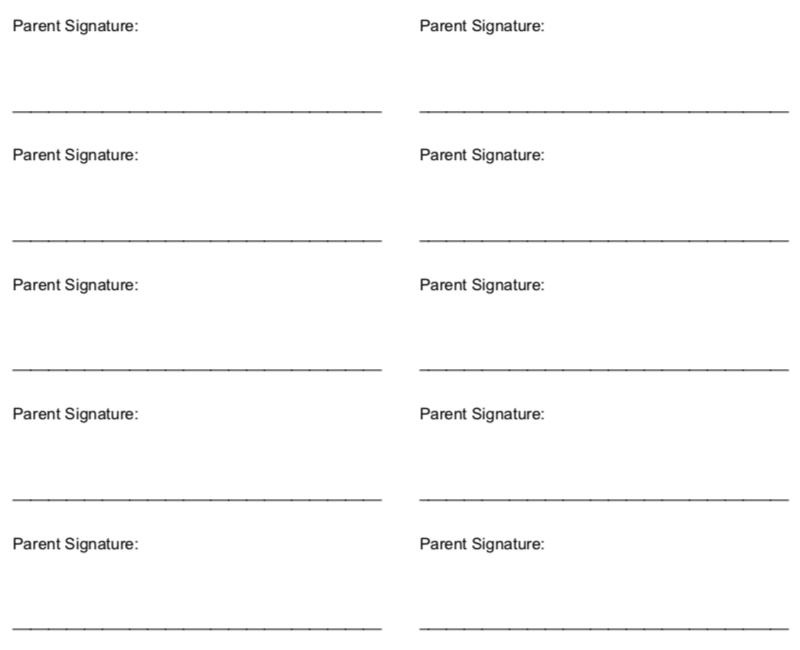 Print your individual student reports from the ClassMax report menu and simply attach a mailing label for a parent signature to the bottom of the form. Parents sign and students return them to class. 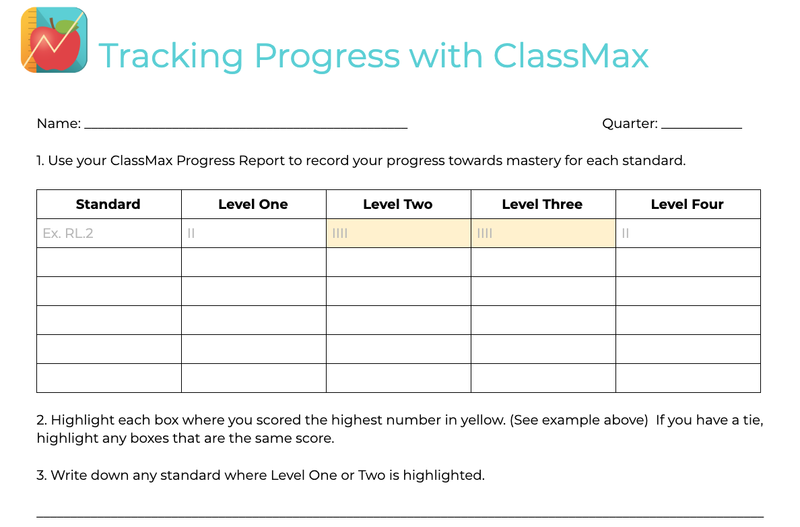 For a more complete report going home, use our Student Progress Tracking form and have your students analyze their progress before sending home to parents. 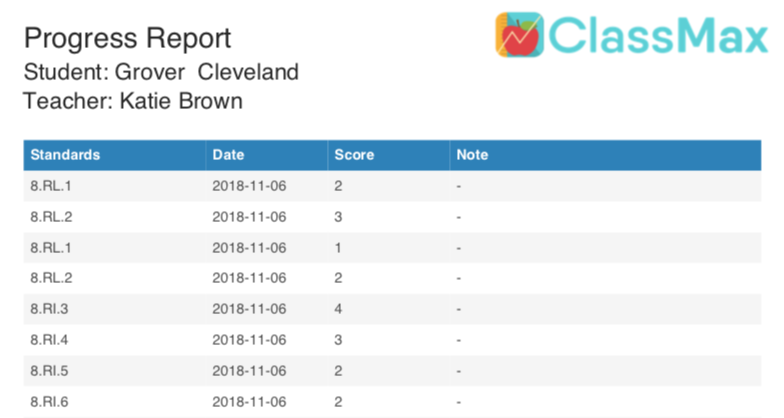 You can either send this report home for a signature or you can attach it to a ClassMax progress report and put a label on the top of the packet for a signature. However you choose to do it, sending reports home for a parent signature is a good idea this time of the school year. Keeping parents involved and aware of their student’s performance can help diffuse potential challenges down the road with parents. This entry was posted in End of Year, Innovative Uses, Progress Monitoring. Bookmark the permalink.